The legendary Rajput queen of Chittor, Padmini, may have been a great beauty. But in this work of fiction, she is a lot more, with an unbreakable tenacity of spirit, and a sense of righteousness and responsibility in equal measure -- a feminist at a time when the term was not even coined. 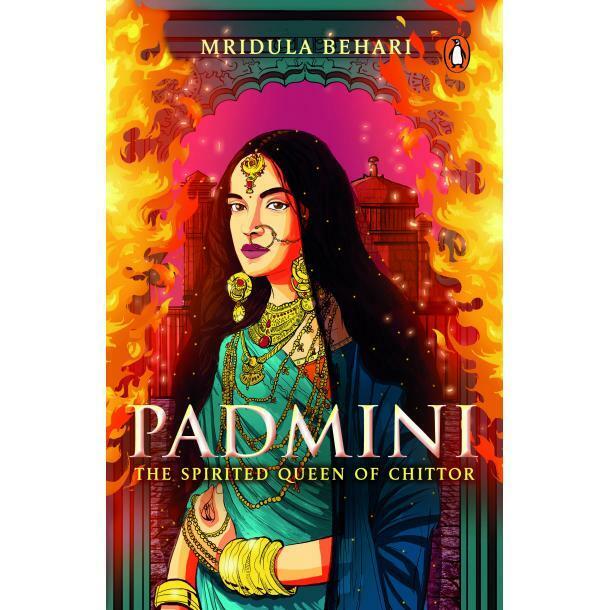 In Mridula Behari's "Padmini: The Spirited Queen of Chittor" one can find a number of instances where the queen has been portrayed in shades of bravery and valour. The queen, in the novel, even wonders whether Sage Manu ever felt the need to understand a woman's mind. "The emancipation of women is reined in by men. Sage Manu had ordained that a woman had to be under a man's control from the time she was born till she breathed her last. "The authors of religious texts do not treat women with dignity... Women are the fountainhead of purity. They are the bearers of culture. But the ancient philosophers and thinkers seem to have exhausted their intellectual energy in giving vent to the feelings of men alone," she said. Narrated from Padmini's perspective, " Padmini - The Spirited Queen of Chittor" is a moving retelling of the famed legend in which she tries to make sense of what it means to be a woman in man's world. Padmini, in the novel, says to herself, when her stepson says she has to sacrifice her honour for the greater good of Chittor: "Is a woman next to nothing? Doesn't he realise that a woman carries with her an entire culture? She is the very source of ethos and progeny. She is the preserver of long-cherished morals, customs and values. The evildoers perish, but culture flows eternally." "Am I worthless? Is a woman merely a showpiece, a commodity, an object for sensual enjoyment, a luxurious accessory, someone's private property?... Does she have no self-esteem of her own without a man by her side?" Padmini questions in the novel. "Women have been reduced to an instrument to satisfy a man's lust...This is the reason why so many abductions take place; just to forcibly seize that prized possession." "It is male chauvinism that has dealt a severe blow to the hearts and minds of women... A man is selfish by nature. He evaluates everything from his own point of view. It is his own value system by which he judges others," Padmini laments. So, what happens when push comes to shove? The ambitious Sultan Alauddin Khilji becomes infatuated with Padmini's famed beauty, arrives at her doorstep in Chittor and lays siege to the fort. Padmini convinces her husband, Maharawal Ratan Singh, and his warriors to abandon any thought of surrender. Despite putting up a brave fight, when defeat seems imminent, Padmini chooses death by "Jauhar" over dishonour. That, at least, is the legend of Padmini that is well known in the country. Traditional bards have been singing about her for years and now, especially after the Sanjay Leela Bhansali-directed film "Padmaavat", her name is everywhere. The book, released soon after the film, has a cover with a sketch of Padmini looking like Deepika Padukone -- the lead of the film. "I don't know how and when the idea of the story of Padmini took seed in my mind... I have portrayed her as I saw her through my mind's eye," Behari says in the Preface, adding: "This novel is based on 'Gora Badal Padmini Chaupai' by Hem Ratan, a little-known 16th-century work."